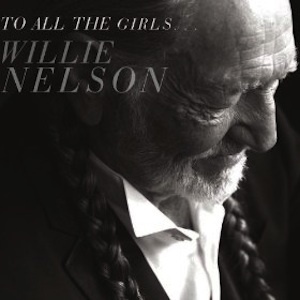 Willie Nelson will release his latest album To All the Girls on Sept. 24, 2013. The album features Nelson singing alongside several female performers, including Loretta Lynn, Dolly Parton, Miranda Lambert, the Secret Sisters, Rosanne Cash, Sheryl Crow, Wynonna Judd, Alison Krauss, Melonie Cannon, Mavis Staples, Norah Jones, Shelby Lynne, Emmylou Harris, Lily Meola, Brandi Carlile, Paula Nelson, Tina Rose and Carrie Underwood. Underwood accompanies Nelson on “You Were Always On My Mind,” which earned him a Grammy for Best Male Country Vocal Performance in 1982. Additionally, the song won the all-genre Song Of The Year Grammy and the Best Country Song Grammy.